I'm so used to hearing celebrities rave about exotic and expensive skincare brands that I've become somewhat anesthetized to the whole idea. BUT when someone like say Gwyneth Paltrow begins talking excitedly about a cheap drugstore brand, then that definitely piques my interest! Although a baby in the Philippine market, Simple Skincare has long been a favorite of those living in the UK and elsewhere. 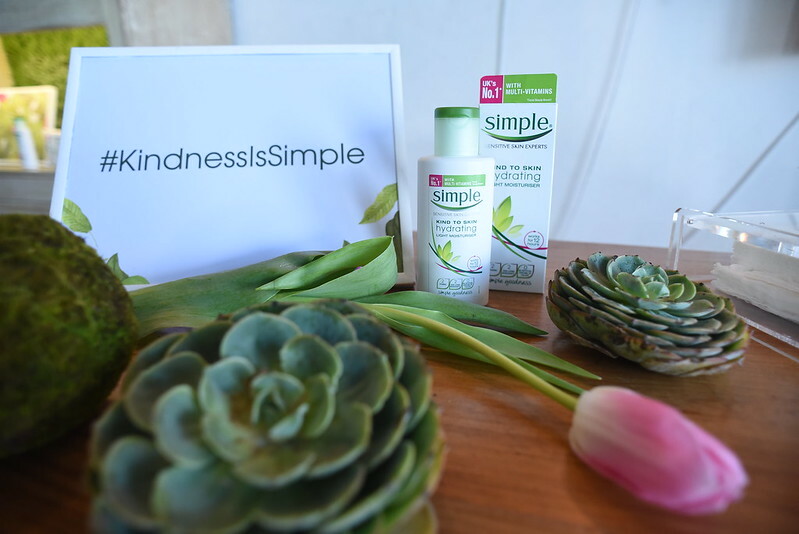 Simple skincare's products are sustainable, gentle on the skin + affordable! Simple Micellar Cleansing Water (P499/200mL, P799/400mL) - it cleanses without clogging your pores + boosts hydration by up to 90%! Simple Micellar Cleansing Facial Wipes (P299) - perfect for gentle cleansing on the go. I especially prefer wipes during travel or after photo shoots that require full make-up! Simple Moisturizing Facial Wash (P299/150mL) - 100% soap-free! It cleanses without stripping your skin of its natural oils. Simple Dual-Effect Eye Makeup Remover (P499/125mL) - safe to use even for those who wear contacts. gentle and yet effective.